In preparation for their 2016 season, the Muscogee Rollergirls are having their first recruitment night of the year on Tuesday, January 12, 2016 at 7:30pm. 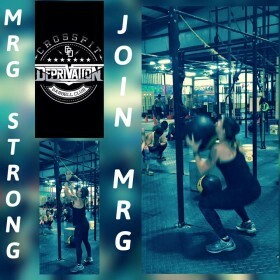 They have partnered with one of their sponsors, Crossfit Deprivation to provide an introductory workout and information session to those interested in joining. Recruitment night will be open to both men and women who are interested in becoming skaters, referees, non-skating officials(NSO’s) and volunteers.